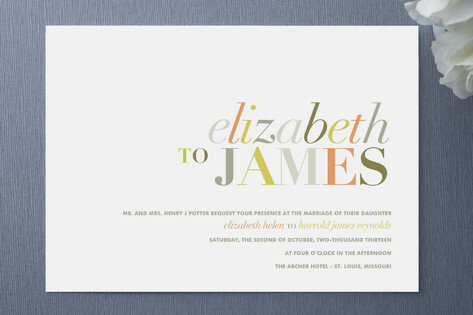 Tonality modern wedding invitations from Minted are a captivating choice for your special day. These wedding invitations really stack up (your names, that is), and a gorgeous typeface is all it takes to put your celebration in the spotlight. Available in the following colors : Gold (shown), Aqua, and Leaf.